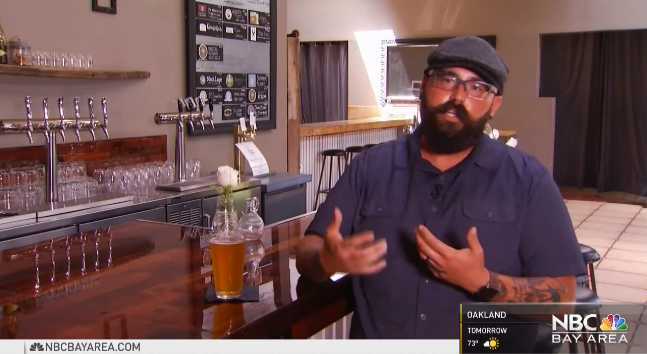 SANTA CRUZ, Calif. — The pro-homosexual Greater Purpose Community Church in California says that it has sold its former building and plans to open a public brewery in the now-closed Logos Bookstore in Santa Cruz. The brewery, which will also be used as meeting space for Sunday services, will donate part of the proceeds to Planned Parenthood, among other organizations. The former building had a large homosexual rainbow flag unfurled outside, and members marched in the recent Pride Parade, according to the publication Good Times. VanHall also had a “Happy Pride Month” rainbow frame on his Facebook profile photo for the month of June. While looking for a new place to gather, VanHall’s rental agent mentioned the former Logos Bookstore and signed a lease agreement with former Logos Owner John Livingston to use the space as both a meeting place for Greater Purpose and a brewery and eatery. In the meantime, Greater Purpose is meeting in The Food Lounge, a restaurant and bar in the city. VanHall asked the owner of the lounge to keep the bar open, so members could have a beer while listening to his sermons. “We have a glass of beer, glass of wine, and it’s a comfortable atmosphere where people can not only listen to a progressive take on theology, but they can also engage in conversation,” he said. “They can have one or two. As a matter of fact, if they have two, my sermon’s always better,” VanHall jested. He said that the former Logos Bookstore will be named the Greater Purpose Brewing Company. VanHall plans to revamp the location into space for manufacturing beer, mead and hard cider. The brewery will be open to the public, but on Sunday mornings, VanHall will use the facility for Sunday services before the brewery opens. “We don’t want to dupe anyone. We don’t want to have this bar and, ‘Come on in and have a beer,’ and boom, you get a church service,” he explained. VanHall said that he also plans to split profits from the brewery and donate part of the proceeds to local non-profit organizations, such as Planned Parenthood, which has an office upstairs. “I thought to myself, ‘Wouldn’t it be great if a church could figure out a way to make a product where they split profits with local community service organizations?’ And we were like, ‘Hey, we love beer. We love making beer. Why not do a brewery? '” he outlined. World Religion News notes that Greater Purpose already hosts meetings open to all religions called “Faith on Tap,” during which participants have a drink while discussing how to raise money or volunteer to support local causes.